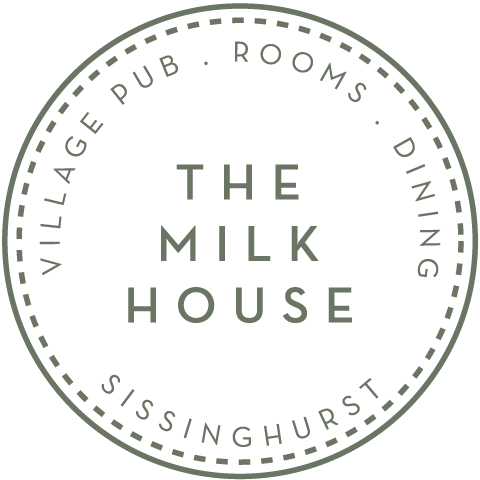 Situated in Sissinghurst, one of the most picturesque corners of Kent, The Milk House is a village pub at the heart of the community. A former 16th century hall house, with timber beams and a Tudor fireplace, the bar is popular with loyal locals, along with visitors from further afield, offering cask ales from Kentish breweries and a wide selection of wines that include offerings from the area’s renowned vineyards. 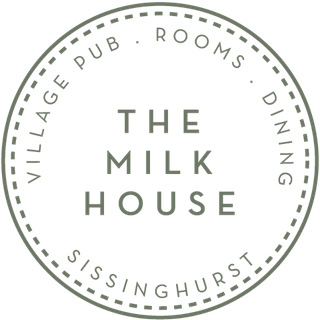 The Milk House prides itself on its food offering a menu that changes with the seasons and uses only the freshest produce from local suppliers. Alongside a seasonal Dining Menu, The Milk House offers a range of classic pub fare and a light Grazing Menu. On Sunday there’s a choice of delicious roasts and there are wholesome choices for children too. The sun-soaked terrace at The Milk House is a great place to while away the summer months. It’s home to a traditional wood-fired pizza oven serving homemade pizzas topped with local charcuterie, cheese, seasonal vegetables and fresh herbs. They’re accompanied best with a cold bottled beer, jug of Pimm’s or glass of rosé from the outside ‘Hopper Hut’ bar, inspired by the temporary huts provided for hop-pickers on Kentish farms in the 19th century. For those who want to spend a little more time in the village, The Milk House also has four beautiful bedrooms. Spacious and light, these have been styled to feel relaxing and home-from-home, with comfortable beds, luxurious en suite bathrooms and scenic views of the village and surrounding orchards. Sissinghurst is the perfect place for a weekend getaway, with the historic castle and gardens just half a mile's walk from The Milk House.